When Aer Lingus announced a new Hartford to Europe route, AND a “Euro Free” sale, how could we pass it up? 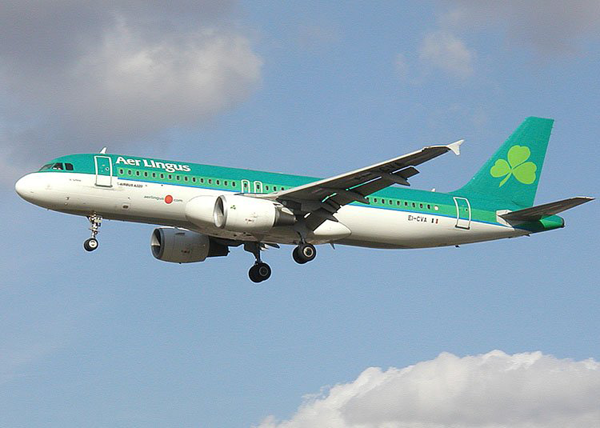 Fly Aer Lingus round-trip to Dublin from the U.S., and you can fly to any other European city for free. We’ve wanted to go to London forever, and now we can go to Dublin too?!? OK Aer Lingus, sign us up! Take a look a below at our plans for this Daddy/Daughter Dublin/London trip with Aer Lingus, and follow along live with updates to this blog. Or, for the most current posts, you can find us on these social media channels: instagram, twitter and/or facebook page too. Travel day flying from Rochester, New York to New York City/JFK and ultimately on to Dublin, Ireland with Aer Lingus. By the time we reached our destination in Dublin it was very early Wednesday morning. In Dublin we stayed at The Morrison, a DoubleTree by Hilton Hotel in the heart of the city. The hotel overlooks the River Liffey, and is walking distance to many of Dublin’s landmarks including Christ Church Cathedral, Trinity College, and the Guinness Storehouse. We strolled through the historic neighborhoods of Dublin until our room was ready. First light on the Ha’Penny in Dublin – a cast iron pedestrian bridge built in 1816 over the River Liffey. We ventured north of Dublin to visit Malahide Castle and the fishing village of Howth with DoDublin Tours. This gave us a little time to see a bit of the Irish countryside, the coast, and a castle before venturing on to London with Aer Lingus. Our time in Dublin was admittedly too short, and only made me want to come back with the whole family and visit Ireland longer. However, after 48 hours in Dublin, we’re off to London, England with Aer Lingus. Upon arrival at Heathrow, we made our way to the capital and our hotel, the Park Plaza Westminster Bridge. 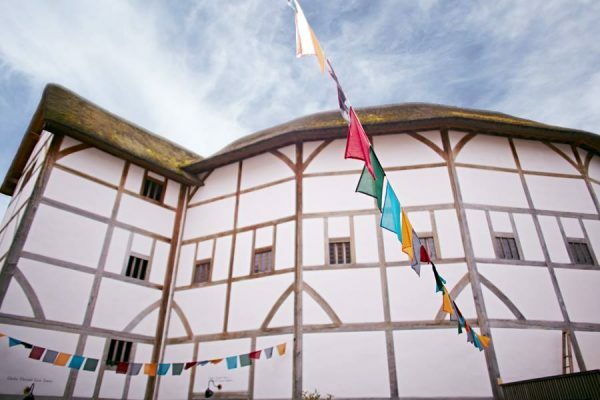 We’re situated on the south bank of the Thames just a 5 minute walk across the bridge to the Houses of Parliament and Big Ben (and I don’t mean the Steelers quarterback). Check out the view from our room! Jet lag started to catch up with us, and Maggie and I were both feeling very tired. Negotiating the airports and tubes were taking their toll. Maggie wanted to rest in the hotel, and I did a brief walk across the Westminster Bridge to check out the views of Big Ben, Parliament, and the Westminster Abbey. As jet lag hit us, Maggie and I both crashed early. I was asleep by 9:30 pm and slept a good 12 hours. Feeling very rested, I opened our curtains at our Park Plaza Hotel room to a stunning view. Maggie, my daughter, loves both theater and Harry Potter, so getting tickets to “Harry Potter and the Cursed Child” was a wish list item. I obtained tickets to both parts of the play via a ticket re-sale site, and we’ll be way up in the nosebleed seats on the West End to see one of the final performances for the original cast. Unfortunately, when we went to pick up our actual tickets to the performance, we were denied access to the theatre. It turns out our tickets were invalid because we purchased them from a secondary website. Be aware, and don’t take a chance purchasing tickets to “Harry Potter and the Cursed Child” via online resell sites. We waited in the return line to see if anyone turned in their tickets for the performance, but, alas, there were no seats to be had. Maggie was devastated and crumpled to the sidewalk in disappointment. Not all was lost yesterday at the Palace Theatre when our tickets were denied to “Harry Potter and the Cursed Child,” and we could not get any returned tickets for the show. We went back into the Box Office once Saturday’s 2pm show started, and Maggie (nearly in tears) explained what happened. David, the Box Office attendant, was sympathetic and said there were returned tickets to the performance on Sunday, May 21 (both Parts One and Two). We bought the tickets for Sunday, and rearranged our plans for the day. Harry Potter here we come, afterall… and for what turns out to be the Final performance of the original, award-winning, cast. Harry Potter day Part Two. Yes, more Harry Potter with a visit to the Warner Bros. Studio Tour – The Making of Harry Potter exhibition. We booked a guided tour with City Wonders to get us from Central London to the Studio, and then Warner Bros. guides led us on a three hour tour of the sets. Our final day in London before we headed back home, and we visited the Tower of London, caught a glimpse of the Tower Bridge, and toured the meticulous reconstruction of Shakespeare’s Globe along the Thames. At the end of the day we made our way to London’s Heathrow Airport, checked into the Hilton to rest up before our early departure home the next day. Long travel day, woke up at 4:00 am to catch our flight from London to Dublin. Unfortunately, we missed our 6:40 am flight, but Aer Lingus handled it well and put us on the next flight to Dublin at 7:40am. A huge perk of flying Aer Lingus from Dublin to the U.S. is its customs pre-clearance facilities. Aer Lingus has a full U.S. pre-clearance facility meaning we clear U.S. immigration, customs, and agriculture controls before boarding our flight. Once we arrived at JFK, we went right to baggage claim as if we were on a domestic flight. No waiting in huge customs queues in the U.S.! I was so tired, I slept most of the flight. Woke up to eat, and then fell right back to sleep. It’s good to be home! DISCLOSURE: This trip was sponsored by Aer Lingus and the author received one complimentary round-trip flight. In addition, hotels mentioned in this post provided complimentary or discounted accommodations and some meals. However, all opinions expressed are those of the author. For more family travel news, reviews, and trip reports, be sure to follow Adventures by Daddy on instagram, twitter and “like” our facebook page too. Great recap! Thanks for sharing and good to know about buying show tickets from secondary re-sellers. I had no idea but I’m glad you were able to get tickets to the show in the end. Thanks for following along Vicky. Yes, it seems like the Palace Theatre has a strict policy against taking tickets from re-sellers. So unless you have an actual ticket in your hand, they are not going to be valid. Thanks Tara, I’m really glad I could share the experience with my daughter.